An original oil painting on canvas dating to 1964 by noted British artist Carlotta Edwards who was famous for depicting ballet scenes. 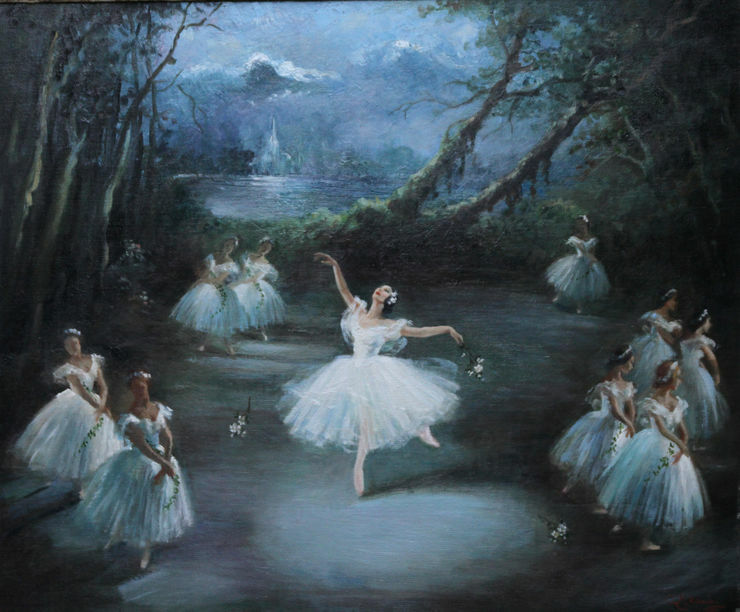 A stunning large Post Impressionist original oil painting depicting a ballet scene of Margot Fonteyn and the Corps de Ballet. This is a very rare painting and the original. Works by her were made into prints and populated many walls during the fifties and sixties. 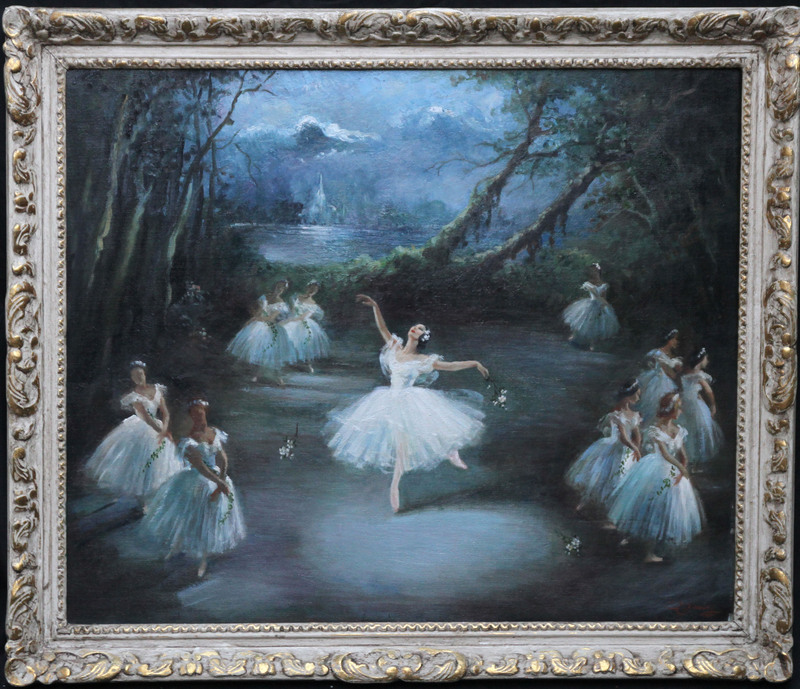 A very vibrant oil painting in excellent condition and in its original frame. Housed in a frame, 31 inches by 37 inches. Excellent condition.